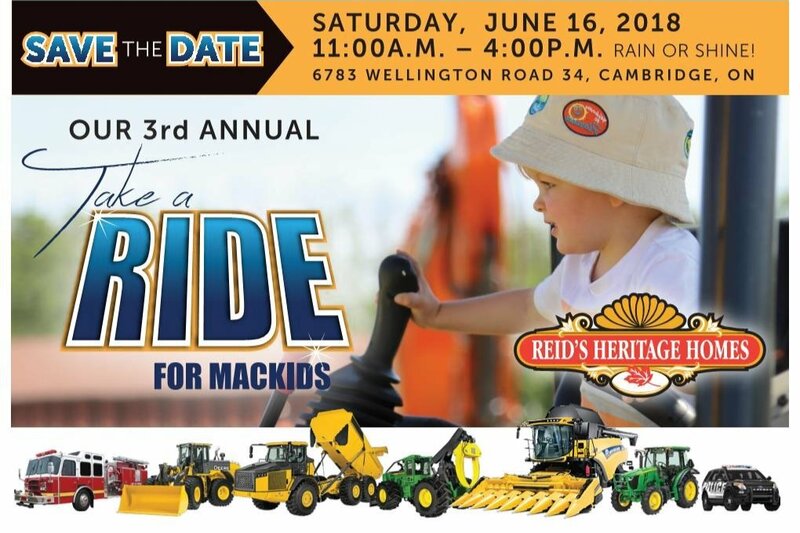 Take a Ride for MacKids was established in 2015 to help in raising $650,000 to create a new, stand-alone, quality, modern nephrology clinic conveniently located within the McMaster Children's Hospital. The Caring for Little Kidney's Fund was created to raise funds for our first project to build and equip a new state of the art Nephrology Clinic at McMaster Children's Hospital. In July of 2017, this new clinic was completed and allows children to receive their treatments in a place where they feel safe and comfortable. It allows for 3 children to be on dialysis at one time and will include a private, isolated room as well. We were also able to raise enough funds to purchase a brand new dialysis machine, designed specifically for infants and children. But the need does not stop with the unit alone. We are continuing to run this event annually to help in sustaining the clinic by replacing and adding new equipment as technology is improved. New programs and initiatives being constantly being designed to help these children in their fight back to health and all of these programs require funding. In 2011 Tim and Charlotte Blevins' (owners of Reid's Heritage Homes) daughter Kayla was diagnosed with E. Coli. This is the same strain of E.Coli that devastated Walkerton, Ontario back in May 2000. With E. Coli, healthy adults usually recover from the infection within a week, but young children have a greater risk of developing a life-threatening form of kidney failure called hemolytic uremic syndrome. This is what happened with Kayla and this is when Tim and Charlotte experienced the power of family and the amazing talent and care of the doctors, nurses and staff at McMaster Children's Hospital . One of the treatments Kayla had to undergo in her journey to recovery was kidney dialysis, which is where this long relationship with McMaster's Hemodialysis unit started. 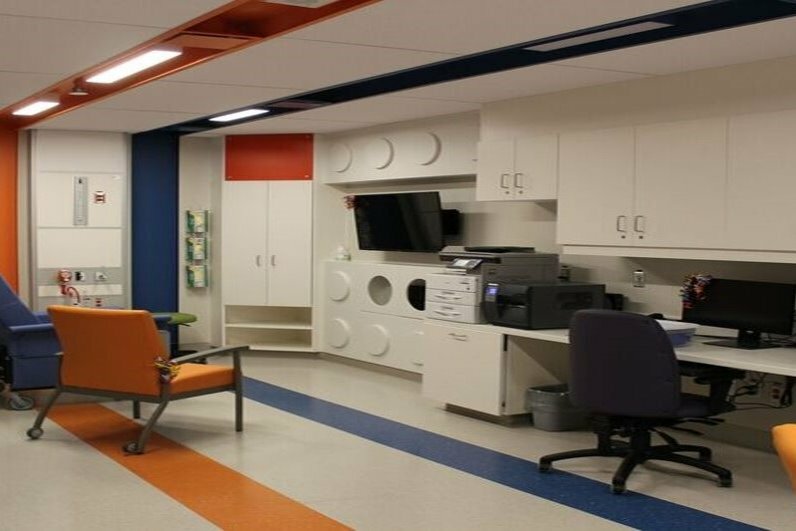 The facility that was being used at this hospital for children was a converted former patient room, not child friendly, and not set up to efficiently function as it is intended. Only 2 children could be dialyzed at the same time, and if one of the children is an isolation patient, like Kayla was, the other available machine could not be used. The equipment being used was meant for adults and had been modified to fit children. It was a less than ideal environment for the children in need of this treatment. Tim and Charlotte feel incredibly fortunate that, thanks to the talent and care of the McMaster team, Kayla has made a full recovery. However, they are keenly aware that there are many more children just like Kayla who require the unique skill-set, care and equipment of the McMaster Nephrology Team. MacKids is the only place in the region that offers this life-saving dialysis to pediatric patients. Children who are acute may need treatment for only a few weeks, while chronic patients often need treatment until a kidney becomes available for transplant. Thank you for anything you can contribute in helping us in this journey.